Our goal is to provide our clients with quality craftsmanship at a reasonable price. We strive to accommodate our customers in a courteous, friendly and professional atmosphere whether it be a large commercial account or an individual's cushion. Jerry and Dianne enjoy working with people to create a final piece that reflects both the client's individuality and will provide pleasure for years to come. Jerry and Dianne are partners both in life and in business. 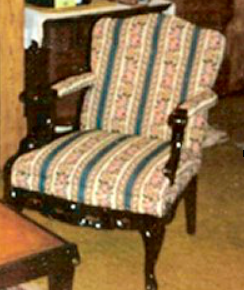 They started Bargain Upholstery in 1983. Since then, we have built a clientele of residential and commercial customers. We are especially proud of the many repeat and referral customers we serve. 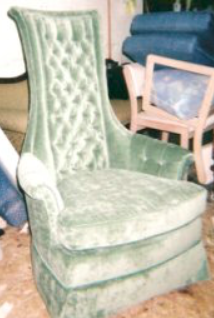 We restore and upholster many heirloom pieces both for individuals and antique dealers.